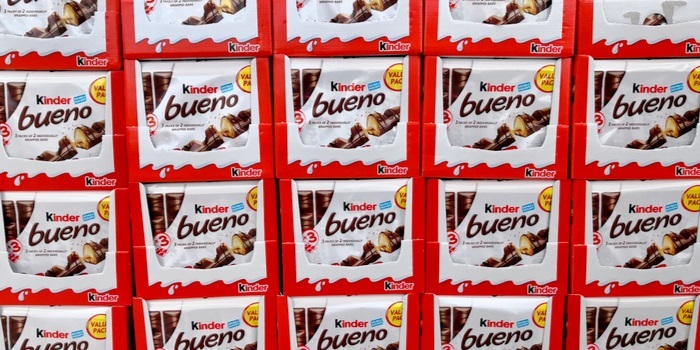 Kinder Bueno has long been one of the most favorite chocolate treats all over the world, and just when you though it couldn't get better - a new version of the fan-favorite chocolate just hit the market. I don't know about you guys, but as a true-blue chocoholic, news of a new version of anything Kinder makes me tingle all over. When I saw junkfoodguru's photo of the company's latest invention, I literally gasped in amazement. Anyone who loves Kinder knows Kinder Bueno up close, and that the delicious treat has no competition anywhere. Or does it…? the only thing that can compete with Kinder Bueno is a new take on the chocolaty, waferi, nut cream filled slice of paradise. And they actually did it. Kinder has launched Kinder Pearls – the same treat in a whole new shape. 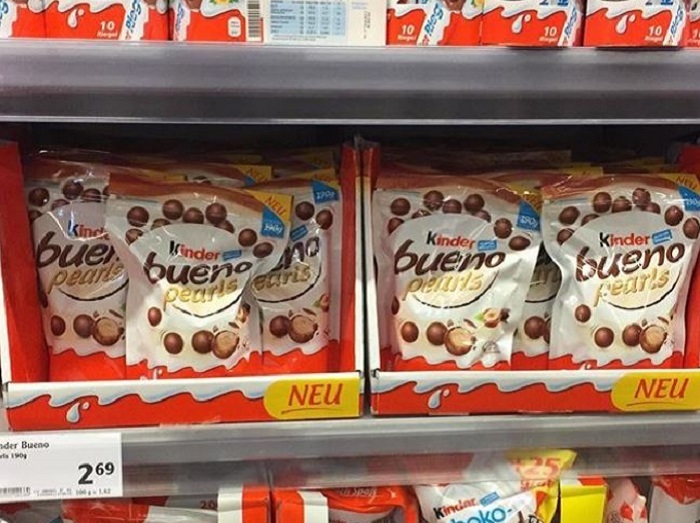 The perfectly round bites look amazing, and I'm sure they taste even better than they look, but there's one major problem with them… the heavenly little nibbles were spotted in Germany and aren't available in the US. Hopefully, Kinder will continue to make Kinder Pearls and distribute them all over the world, preferably directly into my mouth.